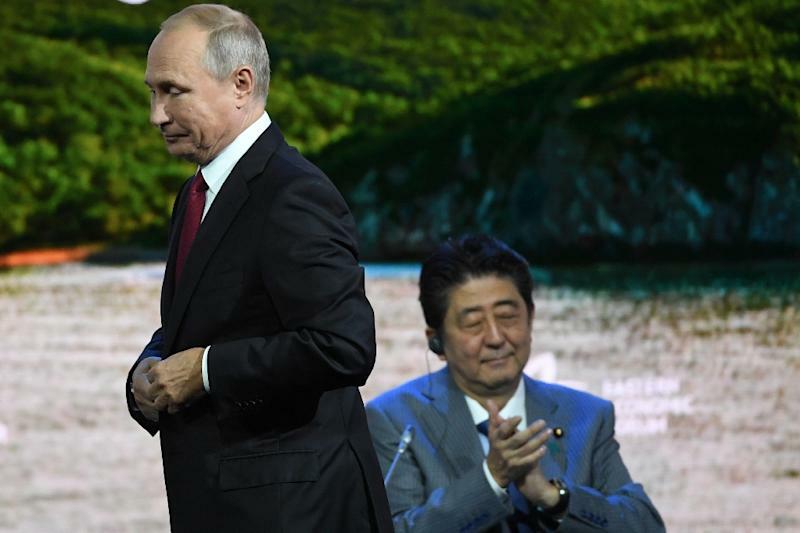 Vladivostok (Russia) (AFP) - Russian President Vladimir Putin on Wednesday suggested Russia and Japan sign a peace deal "without any preconditions" by the end of the year to try to solve a long-running territorial dispute. Putin said the conclusion of such an agreement would allow the two countries to "continue to solve all outstanding issues like friends." "It seems to me that this would facilitate the solution of all problems which we have not been able to solve during the past 70 years." The Japanese prime minister for his part said the two countries "have a duty to future generations." "Let us walk together mindful of the questions 'If we don't do it now, then when?' And 'if we don't do it, then who will?'" Abe said. "We are both fully aware that it will not be easy." On Monday, Putin seemed to pour cold water on suggestions that the dispute could be solved soon.